It’s a question asked regularly in the clinic and a common misconception that you need or should have a complete rest when injured. The simple answer is NO, DO NOT stop exercising but there is a bit more to it than that. Now there are caveats to this and during your appointment you will get specific advice to your situation but the simple rule of thumb is to not stop. As part of the treatment process you will get some rehab exercises to use to aid recovery and advice on what to do or not do but we will never tell you to stop exercising. In some cases the rehab work will be to replace movements you have been doing whilst in others they will be adjunct to them. One thing we are likely to say is to REDUCE the amount of exercise you are doing. 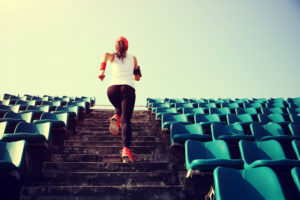 The reason for this is the negative effect that exercise has on your body, there are obviously lots of positives too but for the moment we want to reduce the overall stress to aid the recovery process. Depending on the injury it can be possible to continue doing what you are currently doing and simply reducing the training load is enough. By decreasing the amount of exercise you are decreasing the load through the joints and muscles which are ‘aching or painful’ and allowing your body to have more rest. 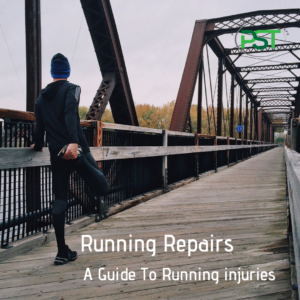 In other cases we may need to change the movement for a while as we do think that you should avoid movements that cause significant pain, switching from running to cycling or rowing machine to allow for sufficient reduction in load on on the joints or injured tissue, but each case is different. With the combination of our hands on treatment, rehab exercises and you decreasing your exercise load then you have a better chance of getting rid of that pain! We don’t believe in excuse of ‘I’m injured so I can’t do anything’. This is why we give you rehab exercises and advice on what needs to change in your training program to HELP you get BETTER. Next PostNext Knee pain – between a rock and a hard place.